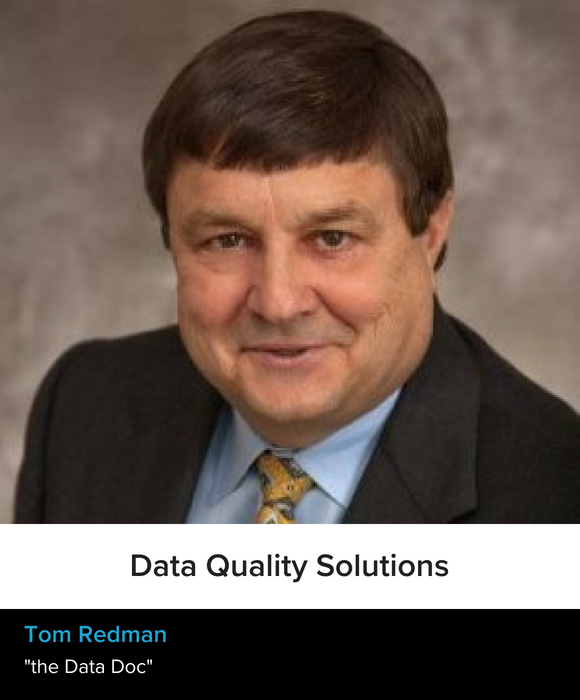 I focus on data quality and bad data is getting in the way of everything, from basic operations, to decision-making, to analytics, to artificial intelligence. It is so exciting when people address data quality properly. So empowering! And it unlocks the potential the data offer! I've only had two real jobs: I started at Bell Labs and would have stayed there forever. But AT&T was imploding and hanging out my shingle was the natural next step. That was over twenty years ago. I'm focusing on data quality for machine learning. The excitement around ML is so high, and so are the data quality requirements. Unfortunately, most data is simply not up to task. There is considerable media attention around bias, which is essential. But the quality issues go much, much deeper. Success depends on both the data and technology. And people are fully aware of "Garbage In, Garbage Out," but they are drawn to the tech side and don't pay data it's due. It is really tough to break that mental lock. Actually, this is a recurring theme throughout my career. "We" (meaning all of us) have the possibility of creating economic growth; making the world freer, more equal, and safer; and solving some really important problems (like health care). It is going to take a lot of work, but the world could be a far better place, for all of us. Learn all the time, from as many people as you can.